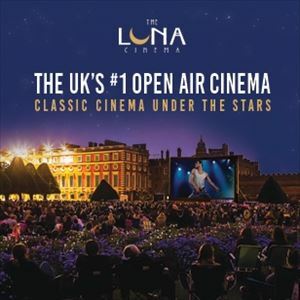 Event Special Events Outdoor Theatre The Luna Cinema 2019 Season Tickets 1st Aug 2019, Doors 7.30pm, Start time 9pm. Leeds Castle,	Maidstone- Kent. 1st Aug 2019, Doors 7.30pm, Start time 9pm. 1st Aug 2019, Doors 7.30pm, Start time 9pm. .